and interconnectiveness to each other. rescue. And they need to be about self-responsibility, rather than resignation to fate. one room has the power to spread change throughout communities. 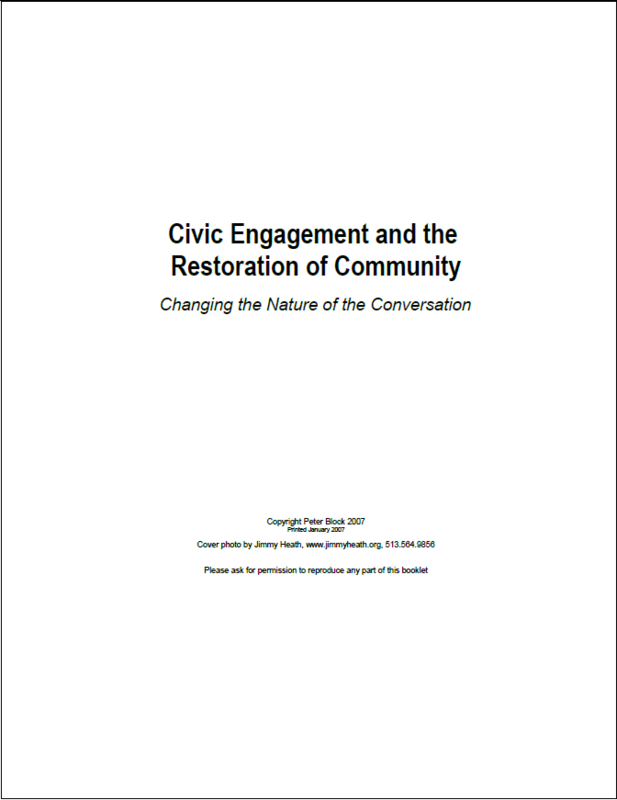 For more information about Community, read the paper below by Peter Block.